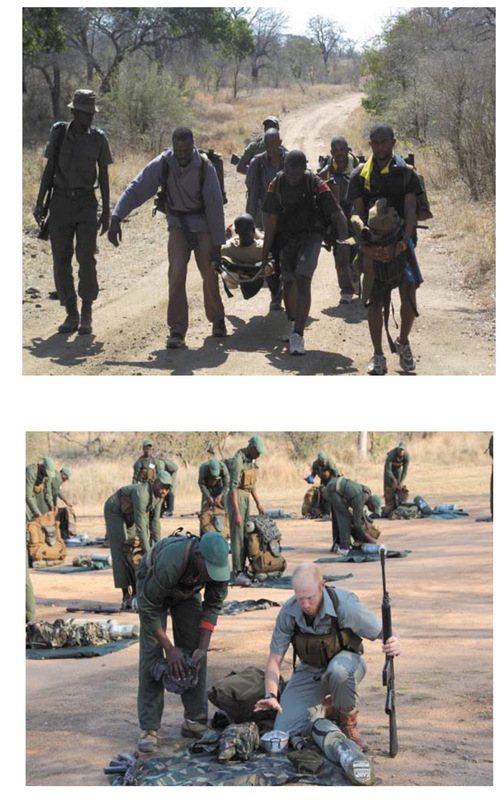 The need for Field Rangers on the ground and ground cover units to be trained to the highest level possible is being addressed in training interventions at the Southern African Wildlife College. The Field Ranger has evolved over the years from little more than a glorified “farmworker” to a professional Law Enforcement officer. The requirement was set by the Protected Area Managers and Section Rangers of Parks across Africa. This requirement is being addressed by Field Ranger Trainers everywhere and has given Nature Conservation some of the best Field Rangers ever….. Although a tough selection process has been in place in the Kruger National Park for over 14 years it has been streamlined and tweaked to the point of perfection. Selections now include Voice Analysis and background checks that dig deeper than just the cursory questions regarding connections with poaching or the criminal element. A selection process has always been preceded by a medical test whereas the current process requires a full legal background check on possible trainees. The exclusion of “possible insurgents” into the Field Ranger Corps is thus facilitated and such possibilities negated entirely or in greater part. The Field Ranger course has been honed and all time spent during the course applied to the basic requirements of the Field Ranger to be operative as a Law Enforcement officer. The need to “legalize” the Field Ranger through the firearms training as well as the presentation of accredited training is addressed. The course also allows for 20% of the training time in actual circumstances of operations. This might seem little but allows the process to be concluded while practical training without deployment still continues. The course prepares the Field Ranger for most eventualities and also for the advancement of the training presented. This training leads to Advanced Field Ranger training where the Field Rangers, having received the foundational training, are now focused on skills required to survive the illegal actions contemplated against them by poachers. The Advanced Field Ranger training prepares the Field Ranger more practically for the combat that can be expected in operations. Here attention is given to shooting ability, movement techniques, field craft and observation skills. The Field Ranger now gets exposed more field and operational time and has to endure actual deployments. This step in the training serves to connect the Basic Field Ranger course with what follows. 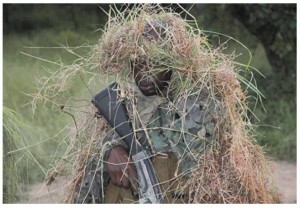 During this phase of training the Field Ranger is specialized as a Clandestine Operator. The need to collect information from the field is paramount and the task of the Clandestine Operator is to collect such information. His task is to be invisible in the field. Infiltration and exfiltration goes undetected and the poacher is now being observed and studied from a position of strength. The Clandestine Operator guides aircraft, ground cover units and the operation that unfolds from a position where the poacher cannot escape. The training includes ground to air control, small team tactics and tactical communications that allow the Clandestine Operator to be effective once the track is found. With secrecy shrouding the deployment phases internal collusion with poachers is nullified and corrupt elements are exposed. The operational successes achieved through the application of Clandestine Operators are numerous and the impact their deployments have had immediate. The training of a Field Ranger does not stop at the Clandestine Operator course. There are several training interventions which are applied so as to make the Field Ranger safer during operations. The courses include First Aid, at the advanced level, handgun training, tracking training as well as legal training including the EMI (Environmental Management Inspector) training. All Field Rangers belonging to Provincial and Governmental organizations are qualified as EMI’s so as to expand their legal powers on the ground. This serves to bolster the Field Ranger’s confidence as a Law Enforcement officer and allows the Field Ranger to act in the situations which arise in the field. The legal powers of Field Rangers are numerous in the Protected Area and more cases going to court are successful in the prosecution of poachers. The Field Ranger has been advanced and professionalized through effective training and development. The threat is constantly monitored and acted upon where training is concerned. The need for dedicated individuals has never been higher and the training never more applicable as now. The ability of Field Ranger Trainers to adapt will ensure the survival of the Field Ranger in combat situations during operations. These adaptations must be aligned with the operational need and the available specialized equipment. Field Rangers are the front line and they deserve the best in terms of development and support.